Get into the young and fresh denim vibe! 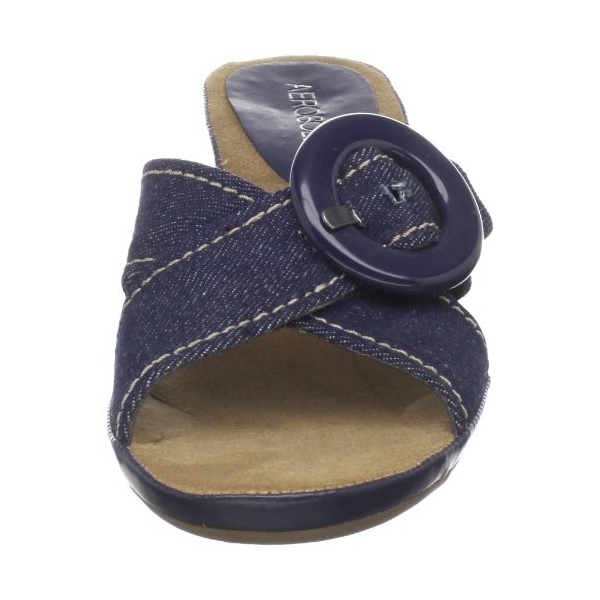 The Aerosoles Citizen is a casual slide that features a denim material upper, two hardy crisscross straps, a fashionable round buckle that really pops, abundant contrast stitching and a natural rope wedge. Extra cushioned footbed with a sueded sock and flexible rubber sole. 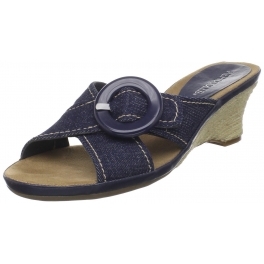 Slide into fashion this season and make heads turn with Aerosoles Citizen!